Welcome to the YWSE-San Francisco Chapter! We are a growing community of women in the Bay Area, committed to supporting each other as we work towards social and environmental change in our respective fields. Our diverse membership is our strength, spanning a wide spectrum of professions, ages and backgrounds. Join our network by attending our monthly gatherings that occur every first Tuesday of the month from 6:30-8:30pm at The Women's Building in San Francisco. All our work is volunteer-led and member-driven, and we offer countless leadership opportunities. For 2016, our efforts are focused on deepening connections between our members and engaging our surrounding community of empowered women social entrepreneurs. We invite you to explore what being a social entrepreneur means to you and to share your experience with us. If you would like to get in touch about speaking opportunities, event partnerships, or other inquiries, please email us at sanfrancisco@ywse.org. Yaris comes from a background of work in the travel and hospitality industry focused mainly in hotel management, events, and service operations. She is a Chinese descendant who was born and raised in Venezuela and has lived in China and New York City before moving to San Francisco. Yaris recently switched careers and currently works in the field of economic and community development in which she implements neighborhood revitalization strategies in emerging neighborhoods such as Bayview, Hunters Point, Fillmore and the Mission. As an Assistant Project Manager in Andrea Baker Consulting, Yaris plans and executes community outreach projects and development initiatives with organizations such as the Women’s Building, Bayview Opera House, and BART. Yaris holds a B.S. in Hotel Administration from the School of Hotel Administration at Cornell University. Harmony Palmer works at Samasource as a Technical Project Manager. 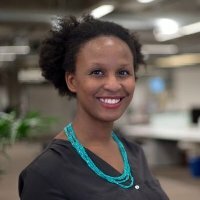 She works to help provide youth, women, and refugees mainly in Kenya and India with digital work opportunities. Harmony is dedicated to the social enterprise model, specifically through job creation, as she has witnessed in her work in Nairobi, Kenya the long-lasting and expansive impact of provide a person with a job. She has learned that providing someone with the resources and opportunity to help grow themselves leads to the most sustainable and largest impact. Prior to joining Samasource, Harmony worked for PricewaterhouseCoopers in both audit and forensic consulting. As a CPA and forensic consultant, Harmony engaged in the audits of Fortune 500 companies and also performed corporate fraud investigations. Harmony holds a B.A in Economics and Accounting from Claremont McKenna College. She has been on the board of YWSE since 2015, where she currently serves as the Treasurer and Lead for the Data & Metrics committee. Harmony also co-leads the Social Enterprise Network in the Bay Area. Harmony lives in San Francisco and can be found biking over the Golden Gate Bridge, doing bikram yoga or a fun hip-hop class, trying an appetizer at a Zagat-rated restaurant, or exploring thrift shops in the Mission and Haight. Kaylé works in the development field at a nonprofit. She makes a living writing grants and makes a life by running, painting, and writing. She's still trying to figure out what she wants to be what she grows up, but is trying to do some good along the way. Kaylé has lived in seven different states plus D.C. and attended the University of Oklahoma, is fluent in France, and dabbles in Spanish. Nadine Rose serves as the co-chair for YWSE-SF. As her day job, Nadine currently works to build communities at a tech company in the Bay Area. In her free time, Nadine enjoys baking and planning events for her friends. Nadine is a graduate of the School of Social work where she received a degree focused on Social Enterprise Administration and International Studies as a Management Fellow. She has a background in education, finance and tech. Miki Yamamoto has worked in the biotechnology field for almost a decade, on teams working to develop cancer drugs. Before working in biotech, Miki attended UC Berkeley, where she obtained a PhD in molecular biology, and conducted research at Lawrence Berkeley National Laboratory. Miki has a strong interest in organizations focused on social impact; she is certified as a Food Literacy Educator from The Cookbook Project and currently volunteers for Project Openhand, Curry Senior Center and Habitat for Humanity. When not working or volunteering, she enjoys baking, rock climbing, hiking with her dog Remy, traveling to distant mountains or beaches, and drinking an occasional scotch (neat). Miki is excited and inspired to be part of this socially impactful community of amazing women. After graduating college in the midst of the Great Recession, Jessica was able to leverage her job as a nanny to build a career in management consulting in technology. From changing diapers to advising Fortune 500 companies, she learned valuable lessons on parlaying untraditional opportunities to get ahead. Jessica has worked with many industries and companies advising on continuity strategies and innovation. In 2014 she joined Salesforce to develop the Incident Communications Program and has since moved into a role in as a Senior Manager in Customer Support and most recently into Sales. She is an active philanthropist championing impact by using the skills that enable her to do well, to do good. Born and raised on an organic farm in the ethnic melting pot of Hawaii to hippie parents who frequently protested for environmental and civil rights, Zuri has naturally grown to fight for environmental and social justice. After graduating from the University of Hawaii in Manoa with a degree in Women’s Studies, Zuri moved to The Bay Area to immerse herself in the politically aware/active communities of feminists and environmentalists and to build her life around a deep love and curiosity for the outdoors, art, healthy food and social justice. Through YWSE-SF, Zuri hopes to bring women from all walks of life and the LGBTQ Community together to connect, share ideas and to inspire positive transformation in their own lives as well as the lives of community members. Zuri spends her free time cooking, traveling, practicing yoga, hiking, dancing, taking pictures, playing with animals and exploring her way through new experiences. Hannah grew up in the Midwest and slowly migrated around the country until settling in San Francisco. She studied international diplomacy and foreign aid in Boston which is where she first learned about the possible impact of social enterprise.